Eighties English pop performer who started out life behind the scenes working for Stock, Aitken and Waterman. 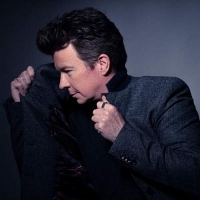 He is best known for his 1987 hit single 'Never Gonna Give You Up', plus "Together Forever" and his cover of "When I Fall In Love". Rick released his debut album, "Whenever You Need Somebody" in 1987, followed by: "Hold Me in Your Arms" (1988), "Free" (1991), "Body & Soul" (1993), "Keep It Turned On" (2001), "Portrait" (2005), "50" (2016) and 2018's: "Beautiful Life".